Outtakes! Funny, silly, and strange moments that didn’t make it into the first 20 episodes. 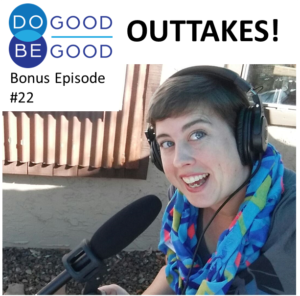 Enjoy the ride on this bonus episode, and we will be back soon with regular episodes of Do Good, Be Good.